http://www.ventechvc.com/wp-content/uploads/2015/06/china.jpg 1252 2500 ventech_client http://ventechvc.com/wp-content/uploads/2017/06/logo.png ventech_client2015-06-03 11:05:412017-08-07 09:38:06China, the place to be ! [Ventech Blog] How could a Junior Analyst become a Partner in a VC Firm? Ventech is one of the few VC teams in Europe with Partners being both men and women, coming from different countries (France, Germany) and with ages between 40 and 60 years. Yes, we believe that a Junior Analyst may become a Partner one day! A Partner in a Venture Capital firm acts both as an investor and as an asset manager. Few ideas on how to develop your ‘Investor’ skills ? But it is not enough when it comes to identifying the winning team, or predicting the future : remember, we are investing in breakthrough technology, new business model, new usage! On the top, good teams often attract competition. So you need to add commercial understanding and experience to make your own firm conviction. Be very strong on the analytical review : work hard, practice on many due diligence…. Use that to assert yourself overtime. Develop sound relationship with CEOs: I am not speaking about being best friends but more about being someone that a CEO will trust and will call (early in the morning or late at night because the rest of the day is fully-booked!) to test ideas, get feedback with an open mind…. Constantly look for the best way to communicate: Relationships between CEOs and investors can be difficult sometimes. I try to always remember 2 points : (i) the CEO is in the driving seat not the investor (the fact that you finance a company, obviously gives you some leverage but be carefull not to use it wrongly!) ; (ii) the CEO has ‘one’ baby, his company, while the investor is managing a portfolio of companies and therefore mitigating his risk. Develop your autonomy…and not your independence : You will have to make decision on behalf of the fund. Some decisions require partnership approval and timing is key. Anticipate (don’t wait for the last minute for negative news such as ….the company is out of cash next week ! ), give regular and precise updates, get feedback from the partnership before you convey the fund’s position. WARNING : This takes time ! You are building your credibility…and very importantly your own track-record . Few ideas on how to integrate the Partnership? Third in committing towards the team and the limited partners to stay during the life of fund (‘key-man clause’). This means that when you have issues with your partners (yes, it sometimes happens ! ), you need to sit down and find a solution. Show your ‘affectio societatis’, i.e., that you are interested in playing a collective game. The fund’s success is a joint contribution of each member and is not a one-man/woman show. Understand the values of the team, be passionate and professional. Develop sound relationship and satisfactory working mode with all existing partners and members of the team. Listening is important. Accept contradiction but be ready to fight to convince. Ask for feedback. Timing is important : teams are usually completed for each new fund’s generation. This is the time to take your position. WARNING : Selective process and Partnership’s decision! Then, how long does it take to become a Partner ? This is not a steady evolution where you go from one position to the other one in a very formal and pre-defined way and with a whole list of job titles. VC firms have few levels between the Analyst and the Partner. Nevertheless, as far as I am concerned, I am much less bored by this type of structure than by what I have experienced in the banking industry. I don’t miss the very complex HR process based on so many useless criteria ! One last tip : BE PASSIONNATE ! http://www.ventechvc.com/wp-content/uploads/2015/04/career.jpg 1495 2048 ventech_client http://ventechvc.com/wp-content/uploads/2017/06/logo.png ventech_client2015-04-23 20:13:312017-08-03 14:23:55[Ventech Blog] How could a Junior Analyst become a Partner in a VC Firm? New Strategic Relationship provides Artists Worldwide with Full Spectrum of Global Services and Powerful Alternative to Major Labels. New York, NY (April 15, 2015) – Today, TuneCore, the powerhouse digital music distribution and music publishing administration company, announced it will be joining with independent label services company, Believe Digital. With offices in 29 countries and a staff of over 250 music industry and digital marketing experts, Believe Digital is the leading fully independent digital distributor and services provider for artists & labels worldwide. s comprehensive global services, providing a truly modern, DIY record label experience with ground support across the globe. Artists will have access to a wider digital distribution network with more tools and services to empower them to succeed, whilst increasing the opportunities to get more music heard by more people in more locations. Encompassing the same core values, the two companies will continue to provide artists with high quality products and growth opportunities, while musicians continue to maintain control and ownership of their work. The two companies will retain their own operations and staffing. TuneCore worldwide distribution with promotional opportunities across iTunes, Amazon, Spotify and other key digital partners. TuneCore worldwide revenue collection. Artists keep 100% of sales revenue and rights. TuneCore worldwide royalty collection with Music Publishing Administration. TuneCore will continue to register, license and pitch music in over 60 countries. TuneCore & Believe global support with offices in key markets worldwide. Believe Digital’s experienced team of music industry specialists, including label managers, marketing experts and video channel managers will continue to provide top quality label services to meet artists’ needs. Artist services and products to meet the needs of musician-entrepreneurs. Detailed reporting and knowledgeable customer service to help you manage and grow your business. TuneCore brings more music to more people, while helping musicians and songwriters increase moneyearning opportunities and take charge of their own careers. The company has one of the highest artist revenue-generating music catalogs in the world, earning TuneCore Artists $504 million on over 12 billion streams and downloads since inception. TuneCore Music Distribution services help artists, labels and managers sell their music through iTunes, Amazon Music, Spotify, Google Play, and other major download and streaming sites while retaining 100% of their sales revenue and rights for a low annual flat fee. TuneCore Music Publishing Administration assists songwriters by administering their compositions through licensing, registration and worldwide royalty collection. The TuneCore Artist Services portal offers a suite of tools and services that enable artists to promote their craft, connect with fans, and get their music heard. The new DropKloud app from TuneCore gives music fans VIP access to artist-curated exclusive content based on location. TuneCore is headquartered in Brooklyn, NY with offices in Burbank, CA, Nashville, TN and Boston, MA. Believe Digital is the leading fully independent digital distributor and services provider for artists & labels worldwide. The company has over 250 employees worldwide with offices in France, The UK, Germany, Italy, Canada, LATAM, Asia, Eastern Europe, The Middle East and Africa. Believe empowers artists and labels to maximize the value of their music in the transitioning digital music space by providing them with a full suite of services: digital music and video distribution, digital marketing and promotion services, synchronization and neighboring rights management, full label services, including in-house record label Believe Recordings. The company prides itself on providing personal tailor made services for each label and artist. Believe Digital leverages its network of 29 offices around the world staffed with local music industry and digital marketing experts to support its clients on a global basis. Championing innovation and transparency throughout its ten year history, Believe has developed leading in-house technology as well as a range of analytical and promotional tools to help labels & artists leverage the benefits of digital. With 8 million tracks, Believe is the digital distribution home to the likes of Brownswood Recordings, Southern Fried, Hospital Records, Tru Thoughts, One Little Indian, Future Classic, World Circuit, Skint Records, Nettwerk Records, Soundway, Kartel Label Services, Xtra Mile Recordings, Saregama, Soulfood Distribution, Distri, AFM Records, Parov Stelar, K-Tel, Scorpio Music, Halidon, Chinese Man Records, Prime Direct and Southern Record Distribution, while Believe Recordings has developed and released James Vincent McMorrow, Gavin James, Youssoupha, Grand Corps Malade, Breton and Public Service Broadcasting. The strategic partnership with Believe Digital will provide TuneCore Artists with an opportunity to tap into Believe Digital’s comprehensive global services, providing a truly modern, DIY record label experience with ground support across the globe. Artists will have access to a wider digital distribution network with more tools and services to empower them to succeed, whilst increasing the opportunities to get more music heard by more people in more locations. TuneCore brings more music to more people, while helping musicians and songwriters increase moneyearning opportunities and take charge of their own careers. The company has one of the highest artist revenue-generating music catalogs in the world, earning TuneCore Artists $504 million on over 12 billion streams and downloads since inception. TuneCore Music Distribution services help artists, labels and managers sell their music through iTunes, Amazon Music, Spotify, Google Play, and other major download and streaming sites while retaining 100% of their sales revenue and rights for a low annual flat fee. TuneCore Music Publishing Administration assists songwriters by administering their compositions through licensing, registration and worldwide royalty collection. The TuneCore Artist Services portal offers a suite of tools and services that enable artists to promote their craft, connect with fans, and get their music heard. The new DropKloud app from TuneCore gives music fans VIP access to artist-curated exclusive content based on location. TuneCore is headquartered in Brooklyn, NY with offices in Burbank, CA, Nashville, TN and Boston, MA. For more information, visit www.tunecore.com. 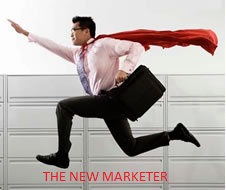 Entrepreneurs: How to make the next generation of marketing happen? How to combine the strength of 1-to-1 Marketing with the need for Omni-channel strategies ? How to make Marketing 3.0 become a reality for retailers ? As venture capitalists, we love industries that re-invent themselves. It creates opportunities for start-ups to challenge big players. Has 1:1 marketing already transformed the retailing industry ? The days where we were receiving by mail heavy printed catalogs featuring all the items sold by a retailer, or where our mailbox were stuffed with emails offering products that were of no interest for us, are gone. Great! I would call that mass marketing: 1to all. Today, most of the time, we receive emails, SMS that are relevant to us. Thanks to CRM, tags put on website, fan page created on social networks, brands collect transactionnal and non-transactionnal datas on their customers and can then send personalized messages to targeted segments. I would call it ‘1to several’ marketing. Then comes ‘1:1 marketing’ : with re-targeting solutions, we are being reminded of products that we have previously checked on other websites. In the adtech sector, the ‘1:1′ approach is rapidly taking off with the development of programatic advertising. Using Data Management Platforms, brands can push personalized advertising messages, (display, video..) to one single profile in real time. Then, for retailers combining online and offline stores, the big revolution is to apply 1to1 marketing globally through all their channels, the omni channel strategy. The use case would be: walking in a street, you pass by a store which happens to have a website that you have checked some times ago and therefore you receive a special discount on your mobile to purchase the product in the store, since you had published on one of your social network that you really liked this product. In the store, the sales guy calls you by your name and sells you the product and it automatically credits your loyalty program. Brands would know their cutomers so well that they would target one person and, following a deep and real-time analysis, would determine the unique offer that will make her/him buy. Even though I have heard many start-ups pitching this use case, as far as I am concerned, I have never experienced the situation described above. Are the retailers here yet ? The current situation is still that brands do email marketing campaigns, most of the time without even using marketing automation tools or predictive analysis tools. They are fully aware that they should do data-driven marketing actions but are stopped by (1) exisiting IT legacy system built over time by silos (CRM, web, mobile, social network, email…), not communicating with each others and certainly not in real time …so creating headaches to build a customer graph, (2) not enough experience in the marketing teams to extract the value of the datas collected and to conceive personalized marketing scenarii like data scientists do and (3) not enough time to spend on it ! brands need to be guided to develop relevant use cases. Software vendors will need to evangelize the markets. To convince customers, start-ups will most likely need to propose value-added consulting services and even offer specialized talent such as data scientists. financial returns have to be clearly demonstrated to have retailers to put that in their top priority instead of using their existing marketing solutions. Best would be that the returns can be shown during trial phase! new solutions will be integrated with existing IT system. So don’t ask brands to change their workflow. Provide tools with friendly user interface to limit as much as possible the need for specific developments and long trainings. http://www.ventechvc.com/wp-content/uploads/2015/03/1-dlwZnDOwmZcHNa33PqSC1g.png 190 226 ventech_client http://ventechvc.com/wp-content/uploads/2017/06/logo.png ventech_client2015-03-02 16:58:352017-11-16 15:41:16Entrepreneurs: How to make the next generation of marketing happen? Uber: 40bn$, Spotify: 6bn$, Dropbox: 10bn$. Do these valuations actually correctly reflect just mind-boggling business fundamentals or is there another less obvious common denominator? Well, while each of these equity stories is certainly unique, having Goldman Sachs as their principal cash-fuel provider turns out to be an essential element these players do actually have in common. A bunch of massively funded companies are currently seeking to make it to the public markets and are (quite rightly so) trying to advertise an unbroken and steep valuation uptake before going public. However, experienced investors are getting increasingly uneasy about the emergence of private convertible bond investors and hedge funds on board of these pre-IPO bandwagons. “To me this looks like the precursor for significant post-IPO underperformance if companies with jazzed-up pre-IPO valuations finally hit the public markets” says Ventech Partner Christian Claussen. “Access to huge convertible debt facilities for notoriously unprofitable companies is just another facet of a general pattern”. Christian who has learnt his early lessons as a VC in the ’97-’00 tech bubble feels oddly reminded to stock-price boosting-techniques such as the famous ‘laddering’ which in hindsight were part of Wall Street’s bubble-tool-box heralding a 7 year nuclear winter for the European VC-industry (read the chapter on bubble #2 in this witty backgrounder). For Ventech Partner Jean Bourcereau things are not even half as bad. “History does not repeat itself and I do not predict a 2000-like situation where excessive pricing was only one factor besides fundamentally unsustainable business models and systematically boosted market size estimations”. As a worst case scenario Jean rather foresees a potential 2008-like situation: “Who knows, we might eventually be in for a global 30% haircut on tech stock prices. And while this definitely hurts it doesn’t kill anybody as long as portfolio companies are well prepared and geared”. 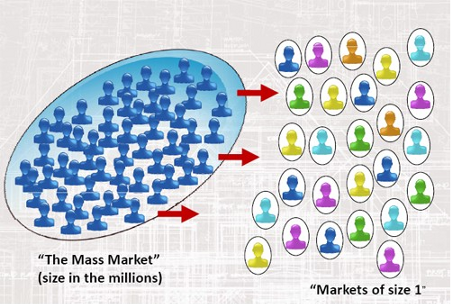 · Turning management’s attention to every company’s real assets: team quality, an on-going optimization process for the underlying business model, happy long-term customers, competitive entry barriers, margin control etc….Uber: 40bn$, Spotify: 6bn$, Dropbox: 10bn$. Do these valuations actually correctly reflect just mind-boggling business fundamentals or is there another less obvious common denominator? Well, while each of these equity stories is certainly unique, having Goldman Sachs as their principal cash-fuel provider turns out to be an essential element these players do actually have in common. A bunch of massively funded companies are currently seeking to make it to the public markets and are (quite rightly so) trying to advertise an unbroken and steep valuation uptake before going public. However, experienced investors are getting increasingly uneasy about the emergence of private convertible bond investors and hedge funds on board of these pre-IPO bandwagons. · Turning management’s attention to every company’s real assets: team quality, an on-going optimization process for the underlying business model, happy long-term customers, competitive entry barriers, margin control etc…. http://www.ventechvc.com/wp-content/uploads/2015/02/overcrowded-unicorns-trevericapital-pre-ipo.png 434 1140 ventech_client http://ventechvc.com/wp-content/uploads/2017/06/logo.png ventech_client2015-02-18 14:40:262017-08-03 14:41:36Unicorn pre-IPO valuations: should we be worried?